A 24-year-old convert to Islam has been sentenced to 35 years in prison for plotting to set off hand grenades in a crowded shopping mall during the Christmas season two years ago. Derrick Shareef must serve 30 of those years - with five off for good behavior - unless he can get an appeals court to reduce the sentence. He was arrested in 2006 on charges of scheming to use weapons of mass destruction at the Cherryvale Mall in the northern Illinois city of Rockford. 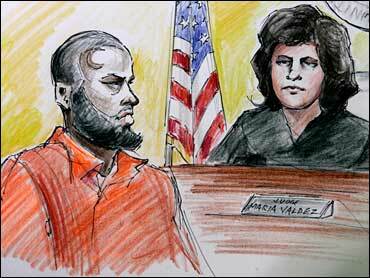 Federal Judge David Coar said Tuesday he didn't believe Shareef was evil. But he said people could have been severely hurt if federal agents hadn't broken up the plot. Shareef was a lone wolf, with no ties to any terrorist organization. He never acquired any grenades, according to reports from CBS station WBBM in Chicago. Shareef describes himself as a devout Muslim who once admired Osama bin Laden but has now realized violence is wrong.